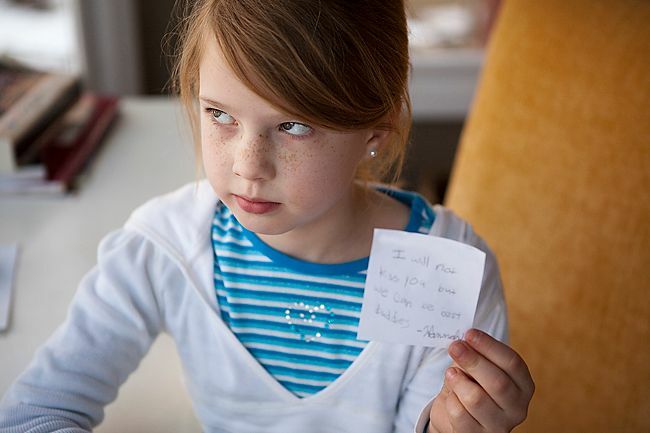 Last week, I found baby girl furiously scribbling a note to one of her classmates. She was writing and re-writing, crumbling up little post-it notes, wanting to get the wording just right. 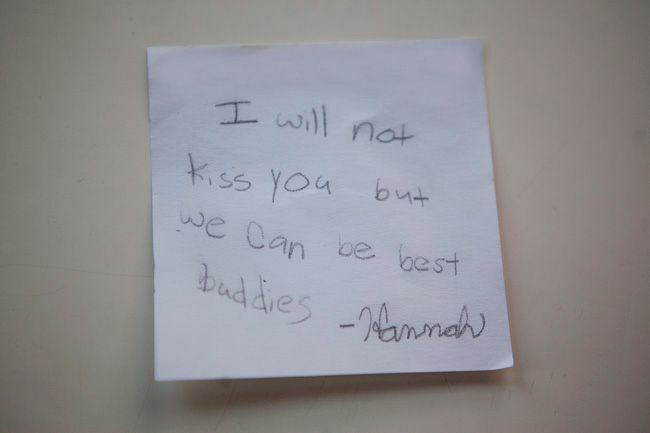 Apparently, a boy in her class had demanded a note from her stating whether or not she would be willing to kiss him. What do you think it would take to get that note copied and distributed to every boy within a 50-mile radius in, say, seven years or so? I'm thinking the Husband would gladly spend thousands to make it happen. P.S. 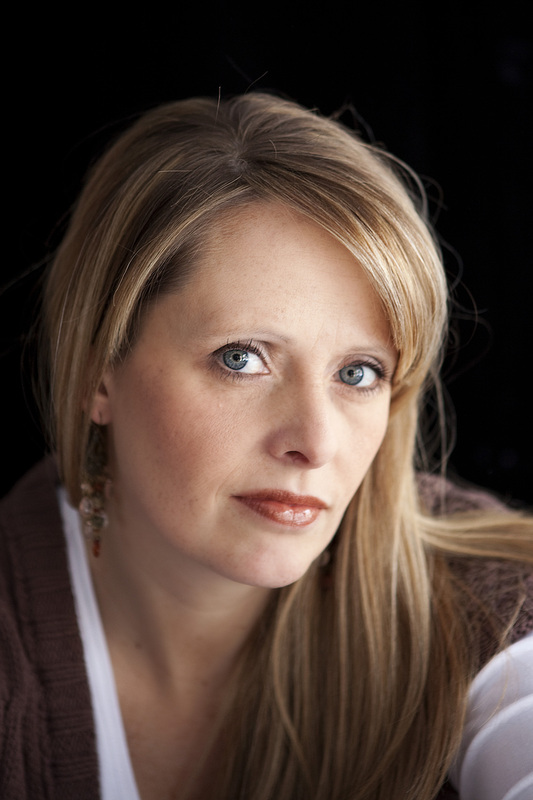 Thank you, thank you, thank you for your sweet words on my little headshot project. You can see the new one over there on the right. You all rock. Way to make a sista feel good about herself.